Get a cool breeze in the scorching heat with stylish tower air coolers. Whether it is for your home or office use, tower coolers can be the ideal choice. There are many reputed brands available in the market when searching for tower coolers that offer eye-catching designs in this category. The most popular ones are from Symphony, Crompton Greaves, Bajaj, Blue Star, etc., to name a few. From the compact air coolers that have an 8 litre capacity to the mid-range capacity tower coolers that have the 30-litre capacity, there are also coolers available to cater to large sized rooms too, with a 70 litre or 100-litre capacity in this category. Worried about power consumption and energy bills? These tower coolers consume between 30W to 300W of energy. 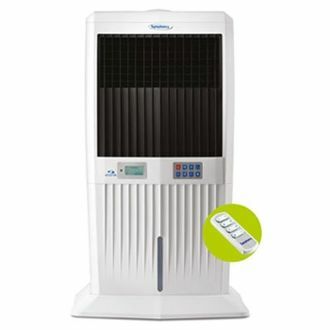 For more details, check out the price list of 53 tower air coolers with the prices updated on 21st April 2019 . Weigh all the pros and cons carefully before you invest in any particular brand. For example, not all tower coolers work on inverter power, an indispensable feature if the cooler is meant for office use. Also, selecting one which has a water level indicator may be a wise choice. When buying an air cooler, make sure that the manufacturer's warranty is included with the purchase so that future servicing and repairs are hassle-free. Some coolers also come with an ice chamber for additional cooling. 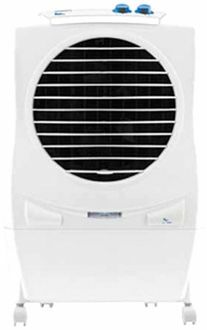 Online marketplaces like Amazon, Flipkart, eBay, Snapdeal are the usually preferred shopping destinations to buy online tower air coolers. Some of these sites also offer easy payment methods including the EMI option. 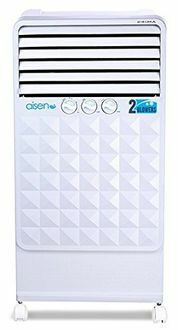 Carefully, go through the tower air coolers listed above, and order the best tower air cooler model to enhance the 'air quality' in your life.